"We want to bring this to the families who need it the most," CEO and cofounder Brett Hagler told CNN last week. The company is already working with the technology. 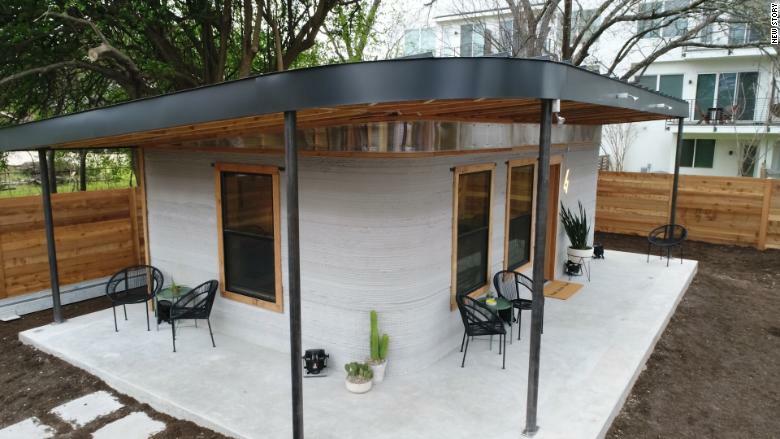 Earlier this month, it unveiled its first permanent 3D-printed home at the SXSW festival in Austin. The Austin home had three rooms — a main bedroom, a living room and a small office or child's bedroom — along with a bathroom. 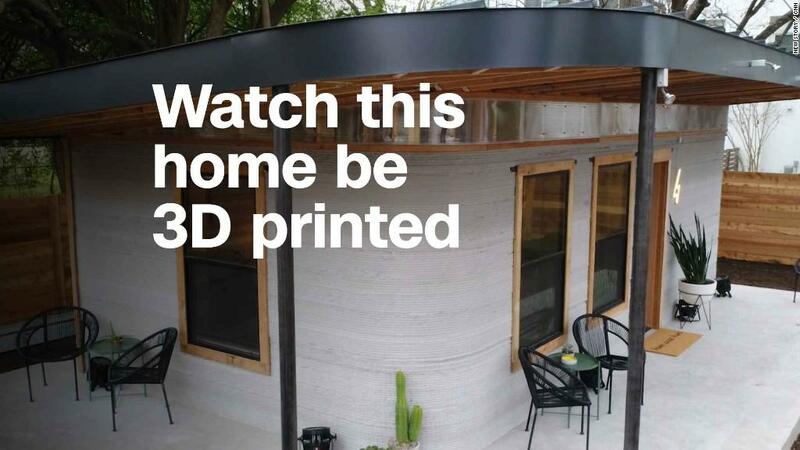 But it was far from traditional: The house was assembled in 48 hours by a giant 3D printer. The machine uses a concrete mix that hardens as it dries, and New Story says it is sturdier than regular concrete homes. New Story worked with an Austin-based robotics construction startup called ICON on the Austin home. The companies developed a custom 3D printer, called the Vulcan, to "print" the house. New Story later added windows, lighting, furniture and decor. "[The Austin house] could turn into a little Airbnb or an office," Hagler said. Hagler, 28, added that he expects it will eventually take 12-to-24 hours to build a home. "That's the promise of robotics — it's only going to get faster," he said. New Story says that more than half of the money it is raising for the El Salvador project will go toward research, development and transportation of the Vulcan printer and software. ICON is also a partner on that effort. "We want to bring this to the families who need it the most," Hagler said. While its work in El Salvador will be the company's most ambitious housing plan to date, it's not the first time New Story has brought houses to families in need. The organization has partnered with local nonprofits to fund such homes in the past, and has built more than 850 homes in Haiti, El Salvador, Mexico and Bolivia since its December 2014 launch. Previous New Story homes were built with basic concrete blocks and a tin roof. The process took about 15 days to build and cost more than $6,000. But the organization expects the 3D-printing technology to help reduce costs and service more people more quickly. For example, the new homes in El Salvador will cost about $4,000. "One organization — as good as it is — can only do so much," he said. "We thought what about trying to focus more on research, development and innovation. We asked, 'What if we could significantly decrease the cost and significantly increase speed [of building homes]?'" New Story and ICON aren't the first to develop a printer for homes. Last year, for example, a company called Apis Cor printed a home in Russia.